I have learnt, VERY slowly, that we teach people how to treat us. I have stayed in relationships with people that don’t value me, or allowed people to behave in ways that aren’t respectful or caring. Because I didn’t value or respect myself. Because I was scared of beingabandoned, of being alone. We teach people how to treat us by how we treat them and also by how we treat ourselves. I use to think this ‘self-care’ stuff was all or nothing. Either, I need to be there for others OR be there for myself. I am learning it is about balancing both. I love being there, supporting and cherishing my friends, family and clients. And I have needed to learn to also support, cherish and be there for myself. To do both. Learn to nurture myself and be able to nurture the relationships and activities I care about. For me, self-care can be the little things like stopping for a cup of tea, having a bubble bath, a massage, meditating, going for a walk on the beach, or going out for dinner with some girlfriends who I dearly love, like I did on Saturday night which really filled me up and nourished me. It can also be the big things. Doing my tax, taking care of myself financially, prioritising the people and activities that are important to me, speaking up when I don’t like how I am being treated, eating food that is good for me, saying no to my teenage son. Whether I am doing the big things or the little things they are all about valuing and respecting myself. Identifying my needs and taking action on these needs. Filling my tank up so that I can feel like I am thriving in life rather than barely surviving. I am learning how to deeply value and respect myself, to be kind and caring towards myself, to be a better friend to myself. To self-care with both the big things and the small things. And in return I am able to be a better friend, parent, partner, colleague. 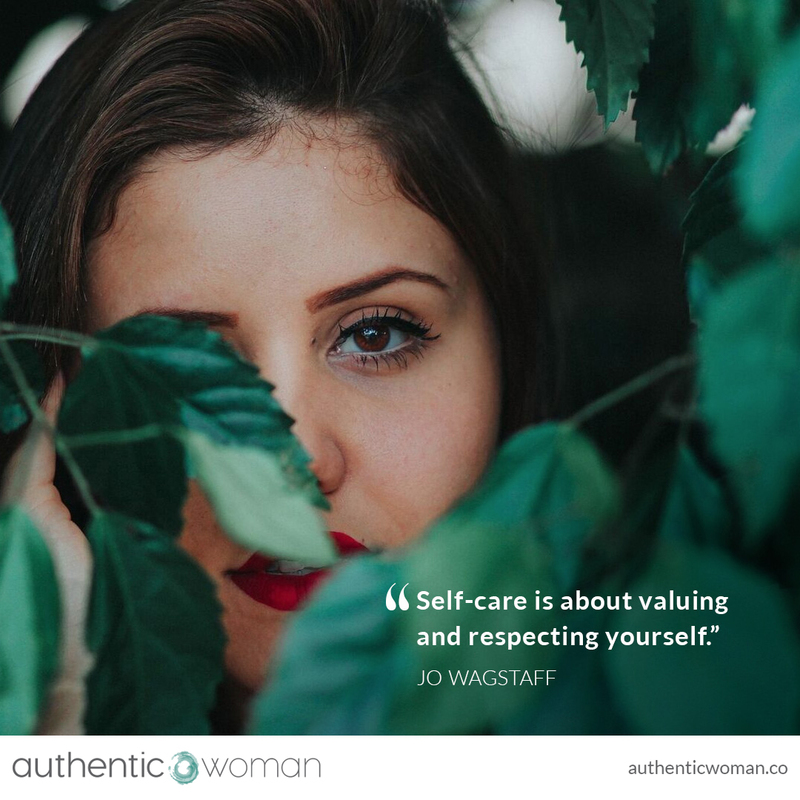 How are you going with your self-care, with valuing and respecting yourself, as well as others?